At the Service Account Credentials step of the wizard, specify credentials of the account under which the Veeam ONE services will run. The user name must be specified in the DOMAIN\USERNAME format. 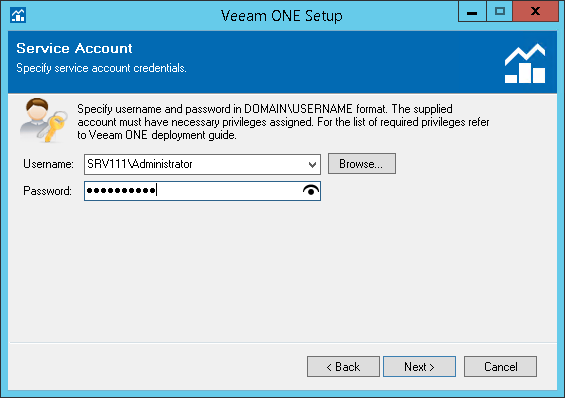 For details on required permissions for the service account, see Veeam ONE Service Account.